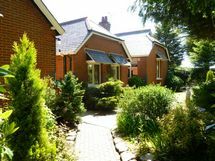 Full Description: SOLD - Situated within the Norfolk Broads Area. A lovely home created from a former Village School. The Property comprises of a Very Large Lounge with Ornate Open fireplace. Entrance Hall with Reception. Middle hall/study. A Kitchen and Breakfast Room. Large Dining Room Five Bedrooms all with En Suite..One of which incorporates a Spa Bath..One Bedroom with En-Suite is incorporated in a separate Annex..A Large utility room is also incorporated in this Annex and can be utilised as a sitting room thus turning it into a Bedsit or Studio..There is also a separate Cloakroom with Toilet and Shower (6) within the main house. 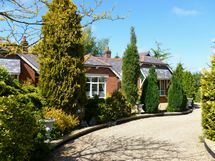 Part of the Property is used as a successful all year B&B with substantial turnover.. Benefitting from Total Double Glazing, Oil Central Heating, Three Phase Electricity, Mains Water and Sewerage. 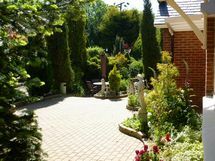 with Landscaped Garden areas of 1/2 acre to the front and rear, incorporating a Large Patio area. Raised Sun Deck. 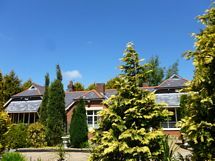 Sunken garden and a BBQ Area...Also Located in the grounds is an Office with Storeroom attached..Driveway access to the front of property with a Car Park for 4 cars plus Driveway to the rear with parking for 2-3 cars. Located twixt Norwich and Gt Yarmouth School Lodge is situated in an Idylic village, on a "Non Flood Plain" position and South facing..Having good access to Rail Stations, Schools, Doctors and Hospitals. Within easy reach of Trains Norwich and Great Yarmouth . This listing has been viewed 29359 times.